Sea Wolf GWS-25: The original Sea Wolf missile. The Sea Wolf provided the United Kingdom with a newer, and more capable, missile defense system for its ships. 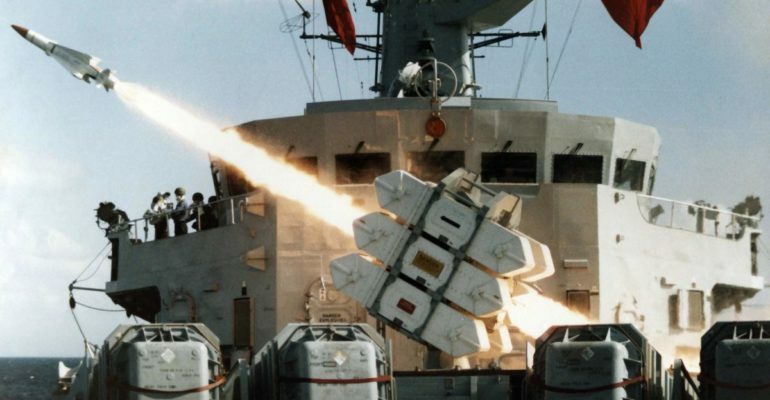 Replacing the Sea Cat, the Sea Wolf was designed with the inherent capability to intercept supersonic targets and can target and track enemy missiles automatically via the ship. The automated Sea Wolf helps the ship react faster and more accurately than a human operated system. The GWS-26 variant increased the range at which enemy aircraft and missiles could be intercepted, strengthening the last line of defense.